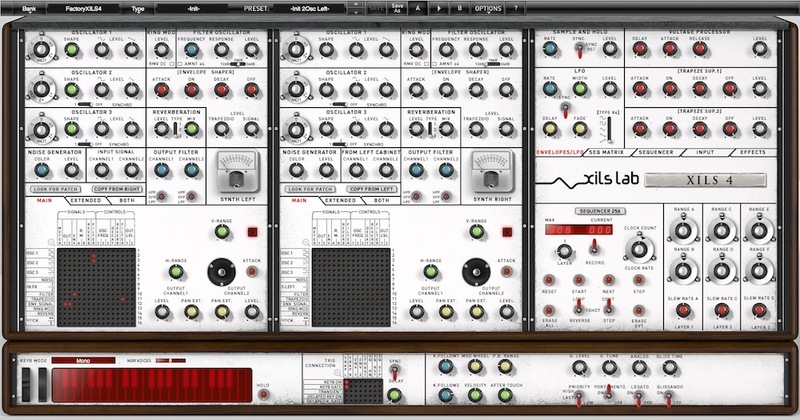 XILS 3, Virtual Modular Synth from XILS-lab. 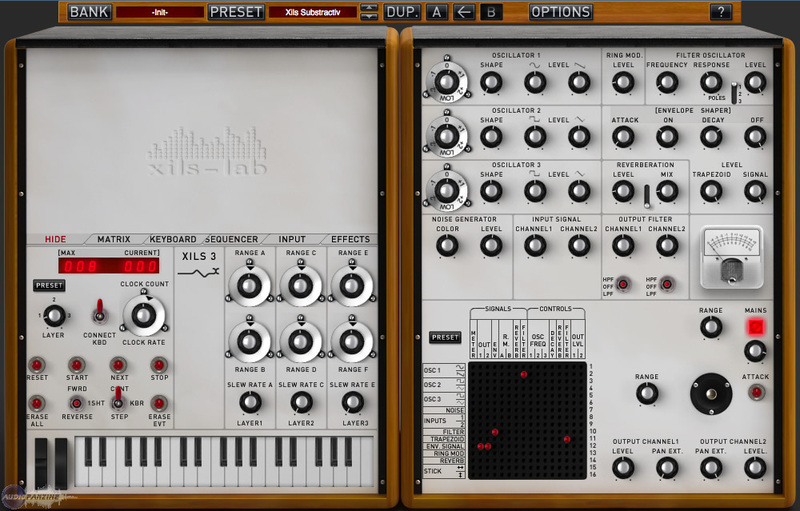 The XILS-lab XILS 3 is virtual synthesizer software that is available for most platforms. I don’t have this at home but have used it quite a bit at the studio where I work that has it. I wasn’t involved with installing this at all since I don’t own it, but I believe you can download it straight from XILS-lab’s website. The synth is a matrix based synthesizer and has quite a bit of different controls to work with, starting with three oscillators. It would be a bit long winded to go through all of the parameters involved here, but in addition to the three oscillators, it’s got a noise generator, a ring modulator, filter oscillator, envelope controls, reverb, and the matrix itself. It has all sorts of effects, a sequencer, a keyboard, and sampling capabilities as well. I’m still learning a lot about XILS 3, as there is a serious amount that can be done with it and in turn there are a ton of controls to be aware of. It’s definitely a good idea to have a manual handy as I’ll probably seek one out next time I use it. At the studio we have XILS 3 running as stand alone software and is suitable for use in other sequencing software we’ve got, namely Logic which is where I’ve been using it. Our computer is a Mac Pro desktop with 10 GB of RAM and dual 2.66 Ghz Intel Xeon processors, so suffice it so say that I’ve never had a problem running this synth or any other software on this system. It definitely seems like it would take up a good amount of your processing power on a lesser system, so it’s worth it to try the demo to see how well it will run for you. 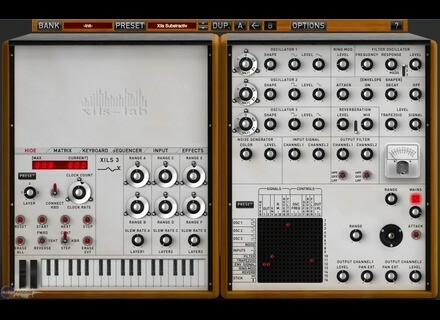 The XILS-lab XILS 3 is one of the most complete virtual synthesizer that I’ve got experience with. Anyone using soft synths at home could benefit from having this, as it’s got everything you’d want in a synthesizer and a great sound to top it off. It’s got a ton of presets to get you started with, which has been working great for me as starting points. Often I’ve been finding that I won’t even need to do too much tweaking with it as they’re pretty awesome to start with. Once I get a bit more comfortable with it I’ll probably start sounds more from scratch, but for now the presets are working great for me. You can get synth sounds on all ends of the spectrum here, as the three oscillators make it possible to get almost any synth sound your can imagine. It’s not the cheapest in the world, but this is a true professional’s virtual synthesizer and is a truly awesome tool to have. </span></span> <p class="MsoNormal" style="margin: 0cm 0cm 0pt;"> <span style="font-size: 10pt; color: black; font-family: Verdana; mso-bidi-font-family: Arial;"><span style="font-size: 11pt; color: black; font-family: Verdana; mso-bidi-font-family: Arial;">No problem for installation. No compatibility issue, I use it with Cubase 4. <p class="MsoNormal" style="margin: 0cm 0cm 0pt;"> <span style="font-size: 10pt; color: black; font-family: Verdana; mso-bidi-font-family: Arial;">I use it for about 3 months. What I like most: The SOUND! But (thanks to the stability that comes with software version from the VCS3) can very well use it to make very good lead sound, bass, etc..
And any metal sounds typified by the Ring Modulator. Waiting for the next 18db filter, which will be closer to the VCS3. Besides, it would seem interesting to have a setting for introducing a factor of instability on the oscillators, filter, etc.. To get closer to the behavior of VCS3 (defects which may be qualities) . Additional modules are a real asset (LFO, S & H, Envelopes ...), free to use them or not if you want to stay closer to the VCS3, or search for more modern sounds. The effects are good bills. (There is more possibility to use the second matrix for change!). <p class="MsoNormal" style="margin: 0cm 0cm 0pt;"> <span style="font-size: 10pt; color: black; font-family: Verdana; mso-bidi-font-family: Arial;">Very good value for money (especially since I received the promotion he had this summer). 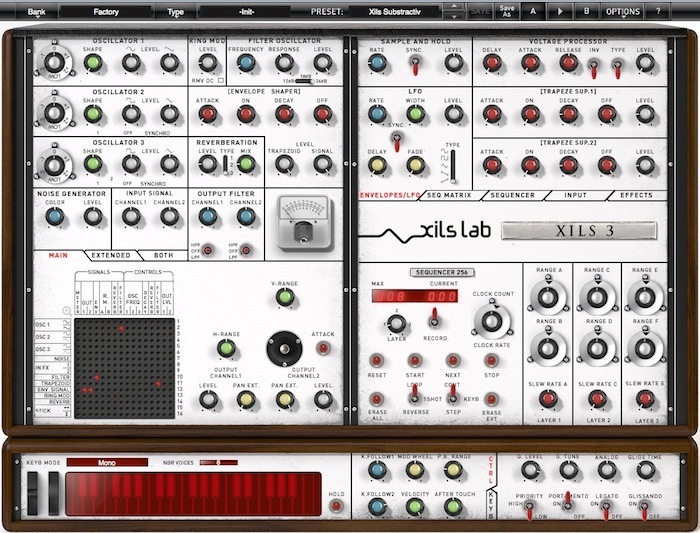 Xils Lab has updated its emulation of the EMS VCS3 synth and EMS 256 sequencer to version 3.2.